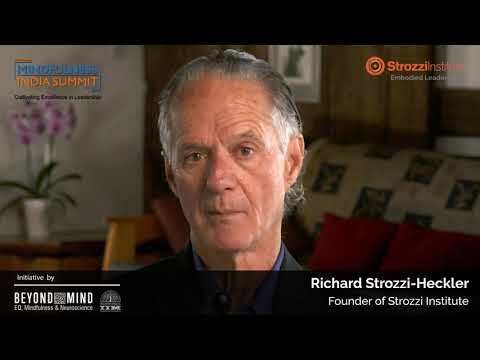 Join as hundreds of world thinkers, neuroscientists, global leaders and practitioners of contemporary mindfulness and emotional intelligence come together in one of a kind annual summit to unravel practices of mindfulness and EQ in a set of carefully curated panel discussions, keynote sessions and breakout sessions. 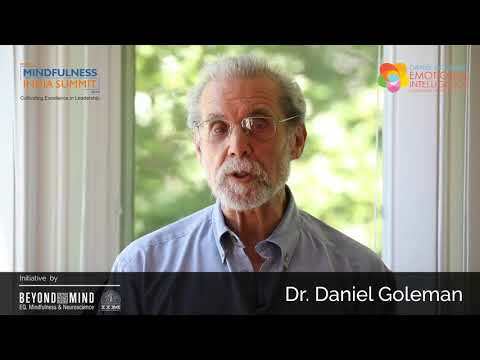 As a new age leader, use mindfulness to bring out the best in you and find the right equilibrium between achieving your long-term goals and short-term objectives. 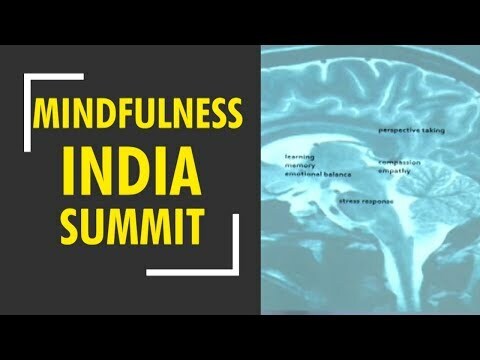 Last year, for the first time ever, at Mindfulness India Summit 2018, more than 200 participants with 30 speakers came together for 2 days of dialogue and workshop on role of Mindfulness and Emotional Intelligence backed by Neuroscience. Building a “Tribe” full of wisdom, compassion and empathy, the summit created an ecosystem of sharing knowledge, creativity, innovation and tools for creating a Mindful Leaders and Community. This year in 2019, more change makers and gurus, scientists, global leaders and practitioners will converge again to discuss excellence, purpose, leadership and health through scientific research and data points. Speakers are joining to share case studies that helps make this change in their organisations and society. Do you know what top global companies like Google, Aetna, Intel, or Goldman Sachs are doing to improve productivity levels? 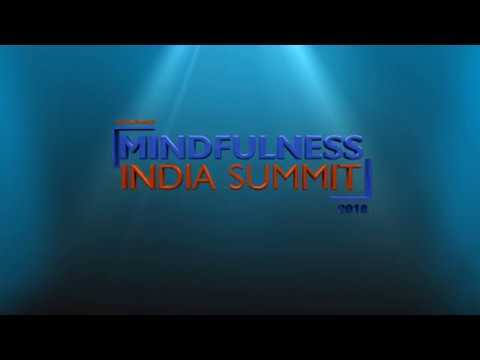 Manish Behl, Founder – Beyondmind & Mindfulness India Summit. 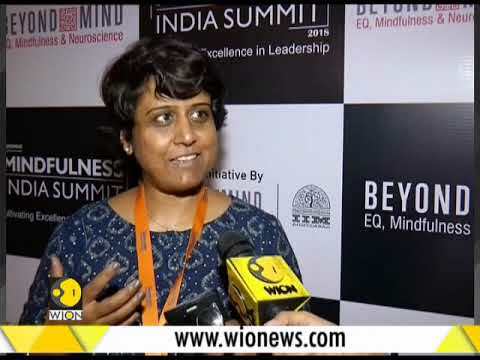 An acclaimed expert in fostering wisdom based mindful leadership, with over 25 years of successful leadership experience in the corporate world. Working on developing leadership, team performance, igniting innovation and cultivating constructive decision making through practices of Social Emotional Intelligence, Mindfulness and Neuroscience. Teaching as a guest faculty at prestigious education institutions in India and abroad. Specialist in cultivating mindfulness, emotional intelligence & neuroscience based solutions for individuals and organizations. Get ready to Learn. Empower. Advance. Develop. the leader within you. Why just listen when you can create an experience journey yourself. Touch, feel and see Mindfulness and Emotional Intelligence based practices and tools from Google, SAP, Amazon, LinkedIn, Harvard, Stanford, IIMA that helps unlock creativity and excellence to create a roadmap to achieve success. What is happening to the space around you to your physical presence and to your own thoughts and feelings. A simple concept of being present in the moment. 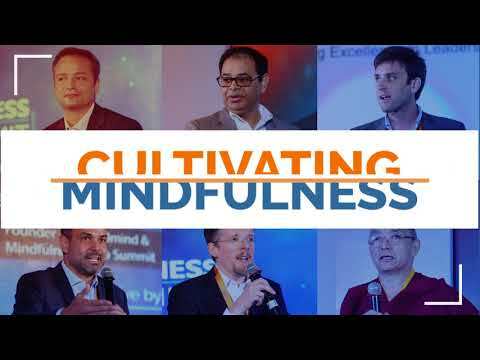 To practice mindfulness at work is to make sure your mind is completely aware and present to what is happening, to the space around you, to your physical presence, and to your own thoughts and feelings. Register now to learn how to slow down, clear your mind, and focus on what’s important in today’s fast-paced modern workplace. Neuroscientists have found that mindfulness as a part of workplace training has extraordinary benefits for both individuals and organisations. Neuroscientists have confirmed that mindfulness as a part of workplace training has extraordinary benefits for both individuals and organisations. Research confirms that practicing mindfulness reduces stress reactivity, increases focus and concentration. This gives us more clarity and a better perspective on our problems, so we can take better decisions. Contemporary workspaces demand that we be able to perform under pressure. Mindfulness helps us become more skilled at staying present, alert and calm under pressure. Mindfulness practices are shown to make people more innovative as they observe without judgement. This allows the mind to less rigid, more flexible, and hence, solve problems quickly and more easily. How to train your mind to be less rigid, more flexible, and hence, build relations and solve problems quickly and easily. In complex situation, reach a thoughtful conclusion by learning to respond, not react. Build a deeper relationship with the team to increase productivity. In its first year CEO’s of top organisations shared invaluable tools and practices to achieve holistic wellness, focus and performance. They discussed ways and means to handle biggest challenges of stress, distraction and burnout in modern workplace. Furthermore, Neuroscience studies and research papers validated ancient practices of meditation and mindfulness. Beyond Mind is an organization working with new age groundbreakers to create an impact in society by introducing and cultivating positive human behavior through mindfulness practices to enhance physical and mental health and thus building overall social & economic well-being. Beyond Mind Learning is a coaching training and learning company providing leadership and performance solutions for corporates and organisations. With collective experience of over 200 years, our coaches and facilitators have extensive practical experience in solving leadership and team issues which they draw upon their work for their clients. empower you with experiences that intensify focus, manage stress, harness creativity and improve resilience. IIM Ahmedabad Established in 1961, the Indian Institute of Management, Ahmedabad (IIMA) is recognized globally for excellence in management education. One of the top management schools in the world, IIMA educates leaders of the enterprises. The Institute’s strategic priorities include: strengthening connection with its various constituencies, including academics, practitioners, alumni, and the community; nurturing a high performance work environment of stretch, autonomy, and teamwork; and strategic growth while maintaining emphasis on quality. Congratulations to Beyond Mind team for organising such a rich and purposeful event. It was a pleasure to be part of it and I look forward to future collaborations. Excellent choice of Speakers and totally applaud the ability to get so many experts, from the field as well as industry. Love the information and details how the brain functions and the mindfulness exercises. Great opportunity to showcase your brand to over 200 high profile C suite delegates and reach an unlimited global audience through this exclusive event. Our attendees and speakers are people from many walks of life and fields of interest who share common relevance in exploring how to live with greater presence, meaning and mindfulness in the digital age.